« Can-am Renegade All Years All Models Rear Rack $189.00 FREE SHIPPING!! Here at wild boar we know the struggle of wanting to run bigger tires, but maybe the fear of making too many changes stops you from wanting to purchase a lift. These new metal floorboards are the perfect solution. We’re happy to introduce a product that will allow you run 32″ tire with your stock suspension. These floorboards are powder coated flat black for durable, yet sleek look. Foot pegs and hardware are included, no need to cut your stock pegs. 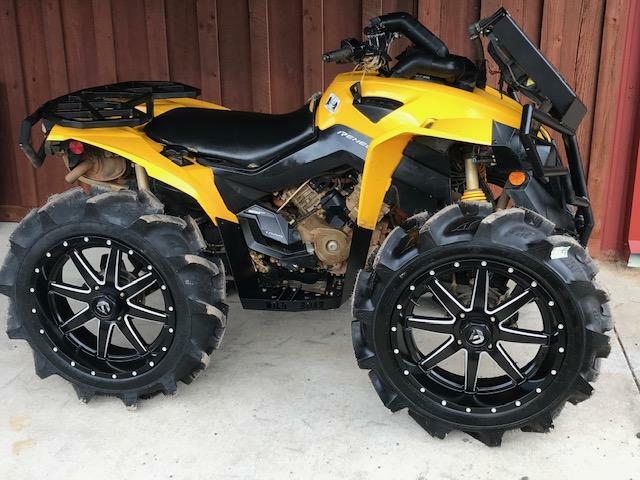 With a few modifications you will be able to run 33″ tires as featured below.